11.21.12 [News] Shop for Christmas & The Holiday Season Today at SAMSON's New Online Store! Start you Christmas and holiday shopping now at the SAMSON 4X4 online store. We have it enabled with PayPal or purchases with your "favorite" credit card. Great prices & great products. Check out our new SAMSON "Survivor" Bands! 06.20.12 [News] 2012 PEI / Samson 4x4 OPEN HOUSE Invitation! You are all invited to our annual PE I / Samson Open House on Saturday June 23, 2012 from 11AM - 5PM. We have a lot of exciting new ideas we are working on this year! Check out our displays, meet the drivers, bring your cameras and spend the day with us! Rain or shine! New Samson merchandise and refreshments will be available! 06.19.12 [News] "Just Released" - SAMSON Then and Now! 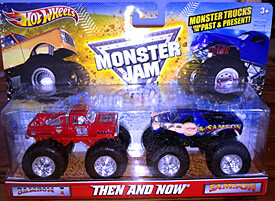 1:64 Die Cast Monster Jam Mattel Hot Wheels "Two-Pack" Monster Trucks from the Past & Present. Click here to puchase them online! 05.21.12 [News] Congratulations to Dan! Congratulations to Dan for being named as one of the 20 nominees for this year's Hall of Fame class! 05.21.12 [News] Check Out The New SAMSON Merchandise For 2012! Follow the link to our newly updated Merchandise page and get yours today! 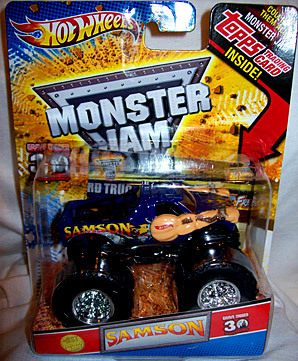 Feld Motorsports has released the Samson 1:64 Die Cast Monster Jam Hot Wheels by Mattel along with a Topps trading card! 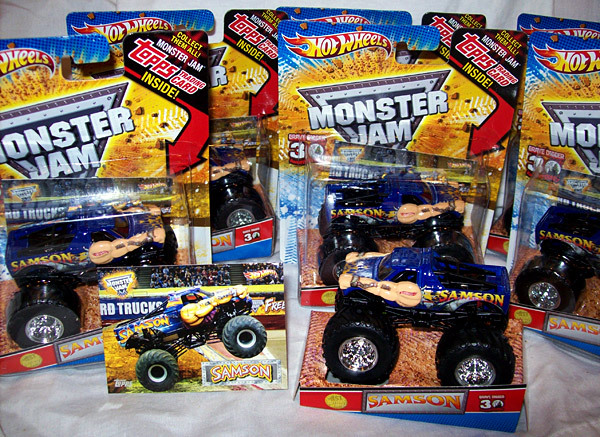 When you buy the Mattel Die Cast Samson monster truck from our web site, it includes an autograph (on the outside of the package) from Dan Patrick! 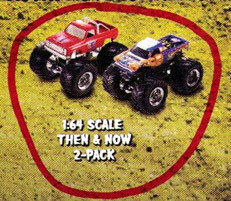 Get your Mattel truck package for $10 from the "Merchandise" page of our web site. 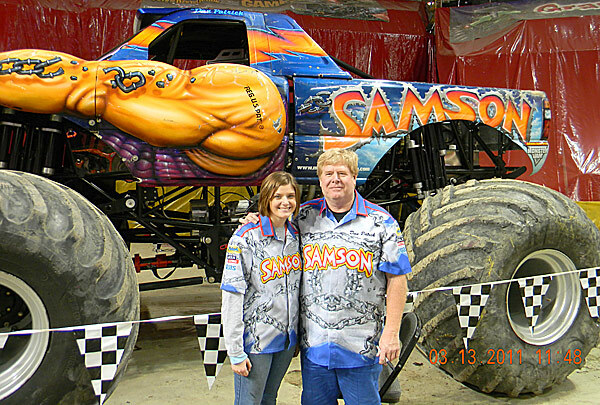 03.07.12 [News] Allison Patrick To Drive Samson Monster Truck! Dan and Chris Patrick are proud to announce that their youngest daughter, Allison, will soon be taking over the driver's seat of Samson! Dan will still be piloting Samson at some events, but eventually Allison will be doing most of the driving. Allison, who is 26 years old, is also a Registered Nurse, working at the ICU Department at Berger Hospital in Circleville, Ohio. We all look forward to this exciting new venture!